August is ending, leaves are changing and the kids are back in school – autumn is certainly upon us! It’s no secret that we’ve been in fall mode for over a month now, but it’s time to kick off a series of harvest season posts here on the blog. We hope you’re able to draw some inspiration for your own fall decorating as well as share how you’re accenting your home for fall; indoors or out. 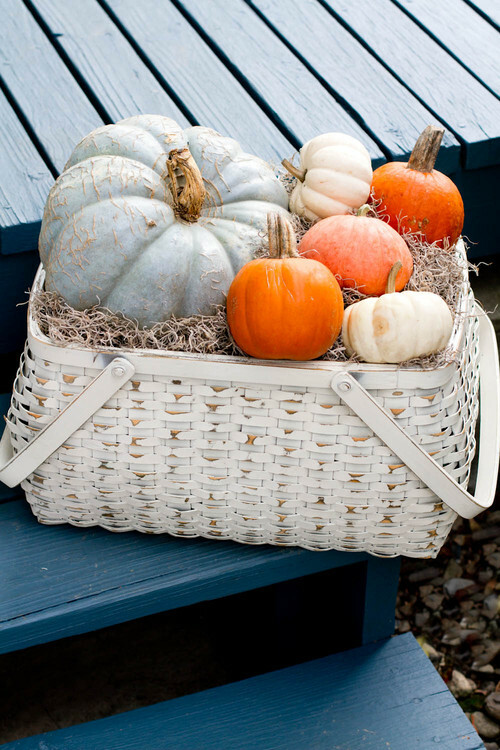 For today, we’re featuring four creative ways to display pumpkins on your front porch, back deck, walkway or any outdoor space. Let’s get into it. adds even more welcoming color and texture. 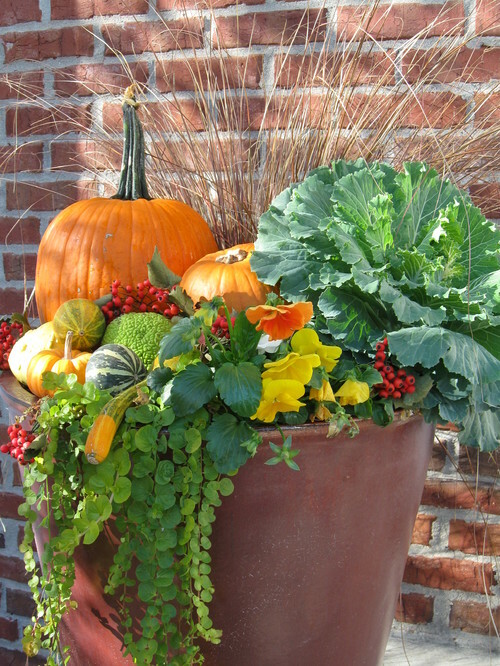 Of course, you don’t need planters to achieve this look. living spaces. 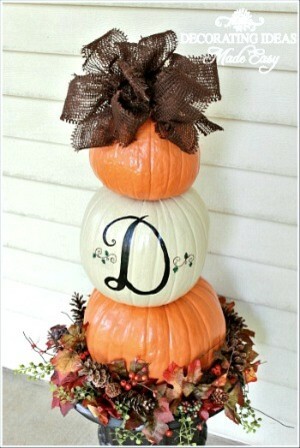 Add hay, straw or even fallen leaves for added charm. hat and voila! 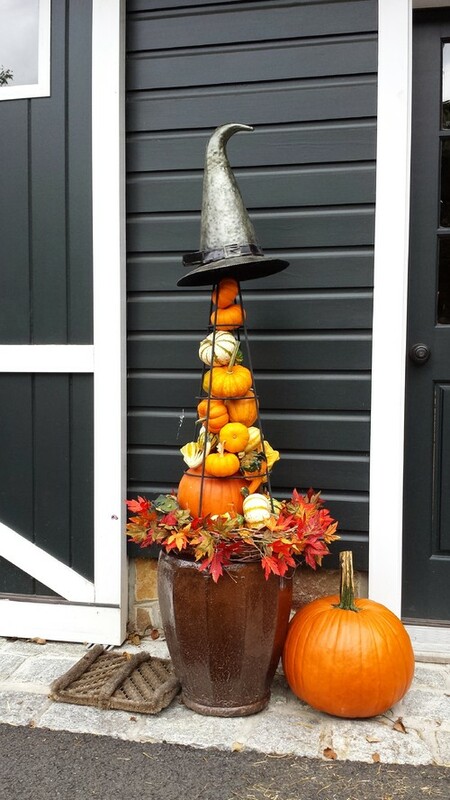 A Halloween decorative that works for Autumn, too. initials, a painted design or even your address. Planter not required. This entry was posted on Thursday, August 30th, 2018 at 1:04 pm	and is filed under DIY, Decorating, Gardening, Harvest, Outdoor, Seasonal Decorating, Thematic, Thursday's Theme. You can follow any responses to this entry through the RSS 2.0 feed. You can leave a response, or trackback from your own site.